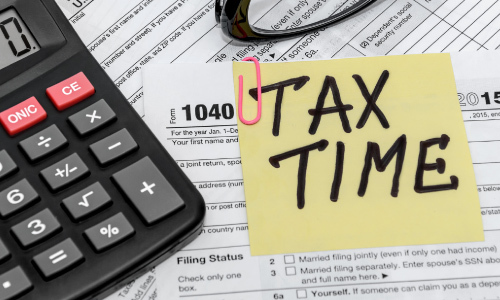 Home » English » Filing ITR before July 31st: Here’s what SME Businessmen need to know. Tax Audit is compulsory if you’re a professional earning more than 50 lakh rupees during the financial year. But if your income is below 50 lakh rupees, income tax has to be paid on 50% of your total income, otherwise, an audit is required. In case, you’re a Businessman earning above 2 crore rupees, audit are compulsory. But if your income as a businessman is below 2 crore rupees, income tax has to be paid on 8% of total income of businessman, otherwise, an audit is required. The objective of the audit is to determine the taxable income. If you’ve maintained account books digitally using business accounting software like Vyapar, this shouldn’t be a problem at all. The taxes, as applicable under the Income Tax Act, can be paid only after an audit. Thereafter, income tax returns (ITR) have to be filed on the total income for the financial year after a tax audit. It is mandatory for all businesses and professions that are subject to a tax audit to e-file the audit reports along with the income tax returns. There are different forms to file ITR for businessmen depending upon specific conditions. The government has prescribed ITR-3, ITR-4, ITR-5, ITR-6, and ITR-7 for Income Tax filing of business and profession. File this ITR if you’ve opted for the presumptive income scheme as per Section 44AD, Sec 44ADA and Section 44AE of the Income Tax Act. However, if the turnover of your business exceeds Rs 2 crores, then you will have to file ITR-3. Companies other than companies claiming exemption under section 11 (Income from property held for charitable or religious purposes). Association or institution referred to in section 10(23A). Institution referred to in section 10(23B). Fund or institution or other educational institution or any hospital or other medical institution. If your income is derived from property held under trust or other legal obligation for charitable or religious purposes or in part only for such purposes. Depending on the type of your business, a particular type of ITR form should be used from the forms mentioned earlier. For accuracy and instant access, it is always recommended to maintain business data using business accounting software. If you don’t have one, start using Vyapar, the best GST-compatible accounting software for Indian Businesses – DOWNLOAD the Free Trial NOW. To sum up, audit cases can file returns up to 30th September, others shall file before 31st July. Lastly, if you have your deadline coming up, better act fast before you’re too late. இந்தியாவில் ஒரு மருந்துக்கடை / மருந்தக வணிகம் தொடங்குவது எப்படி?